When I was first brainstorming ideas for this card, I was thinking I would create a bit of a woodland scene with some woodgrain circles and using clean and simple techniques with this Simon Says Stamp Nutty Over You stamp set. However, the card took a different direction but you know, that’s one of the beautiful things about cardmaking is that no idea is “wrong”. I won’t bore you with the minute details of how I did heat embossing and ink blending for the initial circles. The only component on the finished card that incorporated my earlier plans is that woodgrain circle border. First I cut my card base and used a Sizzix circle (sorry, I got this set originally with my Sizzix machine so unsure of the exact dimensions) to cut a circle for a squirrel image later. I took the stamps from the stamp set and used Lawn Fawn or My Favorite Things dye inks to stamp out the images. To create fall colors, for some of the images I would layer an additional color to create images that looked like they were “transitioning” from the greens to those gorgeous browns, reds, and yellows. The inks from Lawn Fawn that were used are Lobster, Celery Stick, Freshly Cut Grass, Doe, and Walnut. From My Favorite Things, I used Daffodil and Orange Fizz dye inks. Since this was the first time using this stamp set, I switched to my MISTI stamping tool for the squirrel as I wanted the cleanest and crispest stamping I could do. I used a stamp block when I was stamping the card panel images, but I lacked confidence in getting the squirrel, heart and sentiment right the first time using freehand, Ha! I thought the card needed some embellishment and I thought to pull out some ribbon in red and yellow to tie at the top. I debated Nuvo drops or sequins, but ultimately decided against it. I ended up cutting my woodgrain sheet that I created earlier into a circle border to place around the open circle on the front of the card, adhering it with a Zig 2 Way glue pen. I don’t know what it is about fall but I think it’s my favorite season. To me, it’s strongly associated with change, new beginnings and excitement because of school. I’m no longer in school but the fall inspired scents, colors, and décor make my heart pitter patter. Is it too soon to be creating fall cards? Is fall a favorite season for you too? 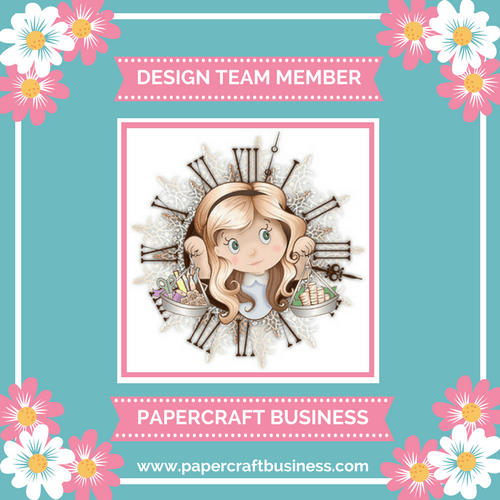 I am always in awe of the many talented and diverse crafters out in the cardmaking community. My card was inspired by Laura Bassen (@laurafadora on IG!) and one of her amazing creations. 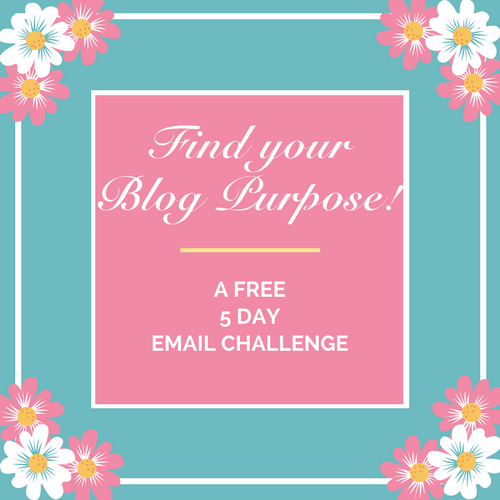 Here’s a link to her blog so you can also be inspired too! I took a large scrap of my Strathmore Bristol Smooth cardstock and used the florals from Simon Says Stamp set called Oh Happy Day. I reached for my Versamark ink pad, knowing deep down it was time for a refill. I stamped out my first round and yup, my ink pad was dried out! Thankfully I had a refill bottle on hand and I think the ink needs to settle out because some of my subsequent stamping turned out blobby if I didn’t pay attention. Make sure to use your powder tool to make sure stray embossing powder doesn’t stay on your creation. I used Hero Arts White embossing powder on top of the Versamark and used my heat tool to set it. Do you find it oddly satisfying to see the embossing powder “transform”? Ha! I used a handful of Tim Holtz Distress ink cubes to ink blend the flowers and leaves. The colors I’ve used are : Twisted Citron, Mowed Lawn, Carved Pumpkin, Abandoned Coral, Ripe Persimmon, Dried Marigold, Wilted Violet, Candied Apple, and Shaded Lilac. Looking back, maybe I should have die cut them after heat embossing them so I had more control in ink blending and customizing the colors. Since I didn’t die cut them prior to blending, some images were close together so I didn’t want my inks to get on the neighboring stamped image, in case that wasn’t a color I wanted. I used the coordinating dies to die cut the images out. I used a papertowel to lightly buff the embossed edges to get any pooled inks off. As Laura shared in one of my cardmaking videos, she looks at inspiration on the internet or at paper goods stores to get inspiration for some of her bold backgrounds. I went through my 6×6 paperpads and decided to use a small polka dotted paper piece from Lawn Fawn Let’s Polka pack as my background. I just mounted it on some gray Recollections 110lb. cardstock. Using my tape runner and foam tape, I was able to create a dimensional bouquet by choosing to make some flowers and leaves “flat” while others have foam tape behind them. I wanted a small amount of additional embellishment and I thought using my Tonic Studios Nuvo Crystal Drops in Ebony Black would definitely finish this card off. I have left the inside blank as I’m deciding what kind of encouraging sentiment I’d like to add. Someone at work is going through a lot of personal and professional stress and I think she needs a reminder of how awesome she is. This card probably took me about an hour, since this is the first card I’ve created in awhile with such involved steps (heat embossing, ink blending, etc). I loved how it turned out and wished I had more big floral stamp sets and dies to create more diverse looks!